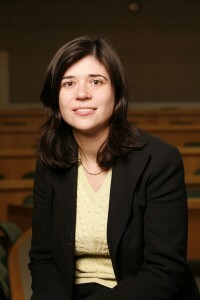 Prof. Emily Waldman spoke to the Wall Street Journal about the Bronx Household of Faith, an evangelical congregation which filed a petition Tuesday asking the Supreme Court to review a June appeals court ruling that would bar churches from holding worship services on school property. Though the debate over church use of city public school space has been moving through the courts since the mid-1990s, the Supreme Court has yet to rule on whether worship services should be allowed on school property. Waldman told the Wall Street Journal that could make the Bronx church’s case a strong candidate for the docket.